Nice set. 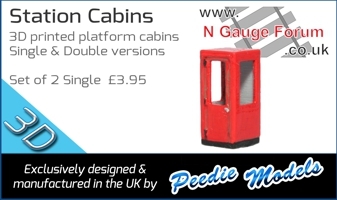 All you needed was a loco and guards van to look even better. Reading the wagon names caused me a chuckle though; "Pugh, Pugh, McGrew, Cuthbert, Dibble and Grubb" sounded like a law firm. You DO realise that the wagons are the fire crew from Trumpton, right? I'm still waiting for an order from Osbornes, thats from 30th November. 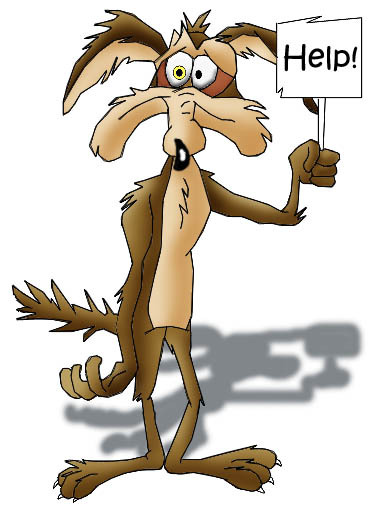 We were told our postal service would be reduced to 2 deliveries a week. December 24th and then 9th January. 2 x a month if lucky now. 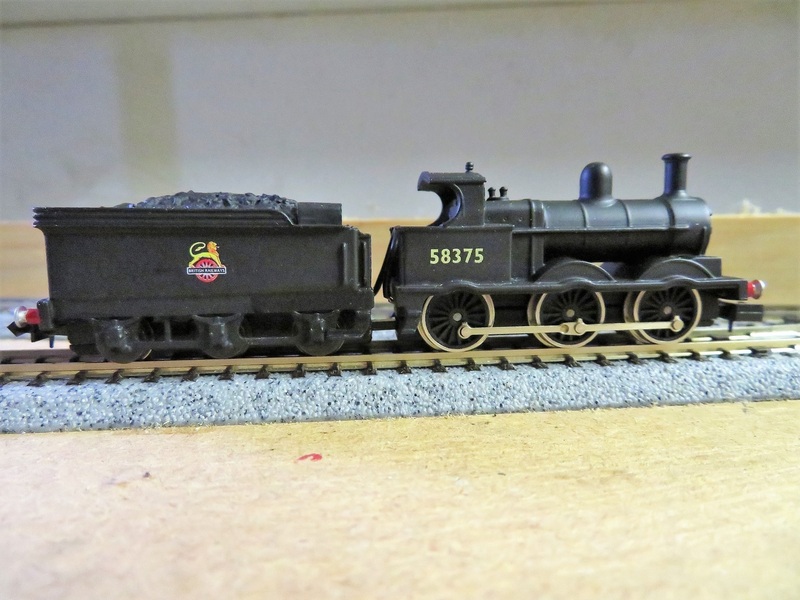 Well I finally succumbed and bought my first Union Mills engine, the 0-6-0 'Cauliflower' in BR Black, numer 58375. The engine arrived yesterday and went straight on to the test track. It ran a bit unevenly, but after a good track clean, (surprising how dirty the rails can get, even when the board is stored vertically! ), the engine runs very nicely. As has been said in other posts, Union Mills engines may lack some of the detailing of recent models, but I have to say that the engine is still a good looker. Very nice, David. Wait till you try out its haulage capacity! 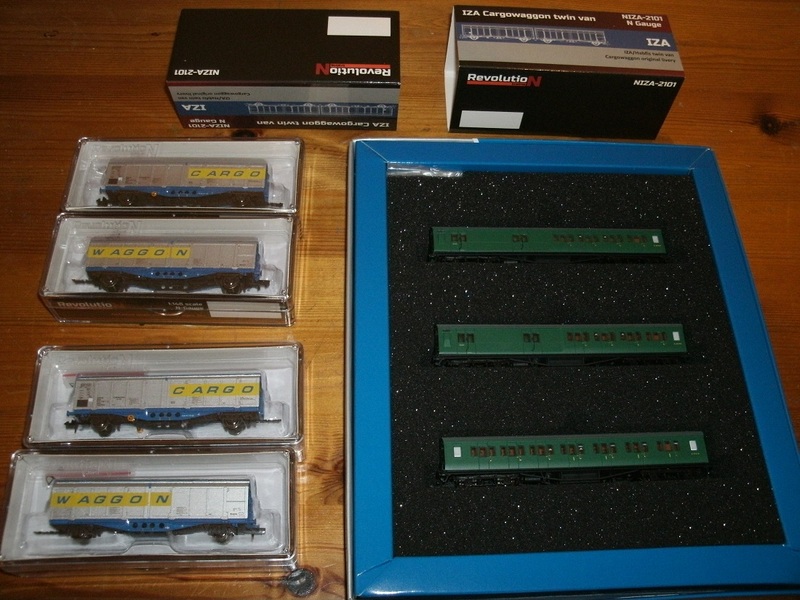 In all my years in N I never had a UM loco as I preferred the higher detailed more expensive stuff but I had to have the City of Truro and that was followed by a Super D G2 - all in the last 6 months. had to have the City of Truro and that was followed by a Super D G2 - all in the last 6 months. @Newportnobby Mick - stop right there!!!! I refuse to be tempted by anything you say. The seller was the British Heart Foundation, so the money is going to a good cause, BUT what am I going to do with another 4F ? It took a while, but here's my new (to me) CL37 loaded with a sound chip from YooChoos and a tiny sugarcube speaker from a supplier here in the USA. 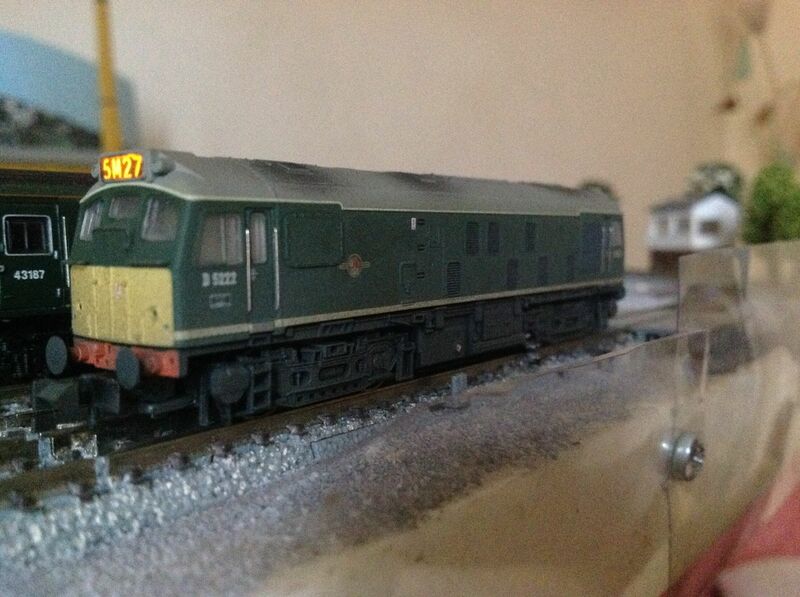 The locomotive itself came via eBay from an excellent seller (hampshiremodels) in the UK. Camera work, editing and scenery all need a lot of work, but I love the new locomotive. Also experimenting with my new Chromebook and web editing from PowerDirector, as you can see. i ordered a set as well and they've just arrived - he must have been busy following the interest here! Can anyone suggest a suitable loco for them? terrier, other small steam/diesel? Page created in 0.267 seconds with 48 queries.